Featuring a new design with a stronger heatsink, more Black & white colors, and upgraded specs such as steel Armor, Turbo M.2 and USB 3.1 Gen1 Type-C, the new bazooka plus motherboard is ready to set a new standard in the B150 Micro-ATX gaming motherboard segment. With audio Boost & gaming LAN offering dedicated gaming features tailored to the most demanding gamers, the bazooka plus is sure to satisfy any gamer. 51 of 55 people found the following review helpful. 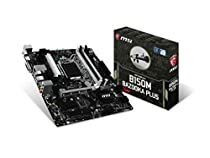 I got the B150 gaming pro version of this motherboard. I've been building computers for about 5~ years now and this was my first Micro ATX build. This motherboard, I have say, I really like it so far. It boots fast, it has a nice BIOS screen, sturdy hardware, and overall, I think it's a solid motherboard for the low price (under $100). The gaming pro version also comes with a mouse that I have not tried yet, but I thought that was a nice addition. This motherboard supports the latest LGA 1151 Skylake CPUs out of the box. I installed a i7 6770 in mine and it works fantastic, paired with a set of PNY Anarchy 2133Mhz RAM. Games like a champ, runs cool and quiet, nearly as fast, if not faster than my previous PC, which was a watercooled, overclocked full ATX AMD FX8350 system. This board also supports overclocking, although I have not attempted it and plan NOT to. But the options are there. RAM settings can also be customized. Be weary, though, this isn't a full ATX and such, has smaller heat dissipation capabilities for overclocking. Versus the cheaper models, this version has two system fans plugs, both with 4 pin connectors. The motherboard also has tiny LEDs, including on the backside of the motherboard, which look nice in a windowed case. Overall, this is a great motherboard for the money. This has everything you will ever need to do serious gaming on a Micro ATX build. My one and only complaint; I wish the SATA connectors were all side-connectors instead of top-down. Two of them are, but four of them are not. This makes things very cramped for MIcro ATX builds. Overall, great motherboard. 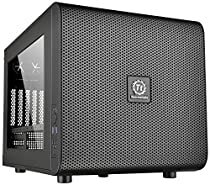 Feel free to ask any me questions about building a Micro ATX PC. This motherboard is still running great. I have had zero problems with it, still boots fast, and the gaming is great. I started getting back intyo music production and recently plugged several USB devices into this, including Guitar Rig 5 and a mixerboard. I've had zero problems with them with this motherboard. So it makes a good build for music producers as well. Gaming wise, I've been playing a lot of Overwatch on this build and the game runs great in 1080p maxed out with the hardware listed above. I also had a chance to try the mouse that came with this; an MSI Interceptor DS-B1 gaming mouse that came with the B150 model of this motherboard. I have to say, the mouse is REALLY good. It's got a good feel, it plays well with FPS games including CS:GO. It's also go on-the-fly sensitivity adjustment. Unfortunately it's a budget mouse; the DPI is capped at 1,600 and you immediately notice the difference going back to a high-end mouse. There is also no software like other higher-end mouses have, so no programming buttons, adjusting the sensitivity, polling rate, DPI, or other settings on the mouse. Still, I was mildly impressed by the mouse, it makes a good spare. I went back to my regular mouse, which is currently a Steel Series Sensei. I have owned Razer and Logitech mice's in the past. 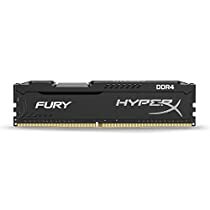 Purchased this for a new Build. I have been very happy with it. Worked out of box, didn't need to update bios. Being used with Windows 10, a Gigabyte GeForce GTX 960 4GB GDDR5 PCiE Graphics Card, and the Intel Core i3-6100 Processor. I haven't used the Eco features yet, but wanted them as an option. For those that don't build computers everyday, I really like the Dummy LEDS on the board, which i believe are on many MSI boards. They provide basic troubleshooting for CPU, RAM, and GPU. I didn't have the CPU completely connected, because of the dummy light it took 5 seconds to figure out why my New System wouldn't Boot.